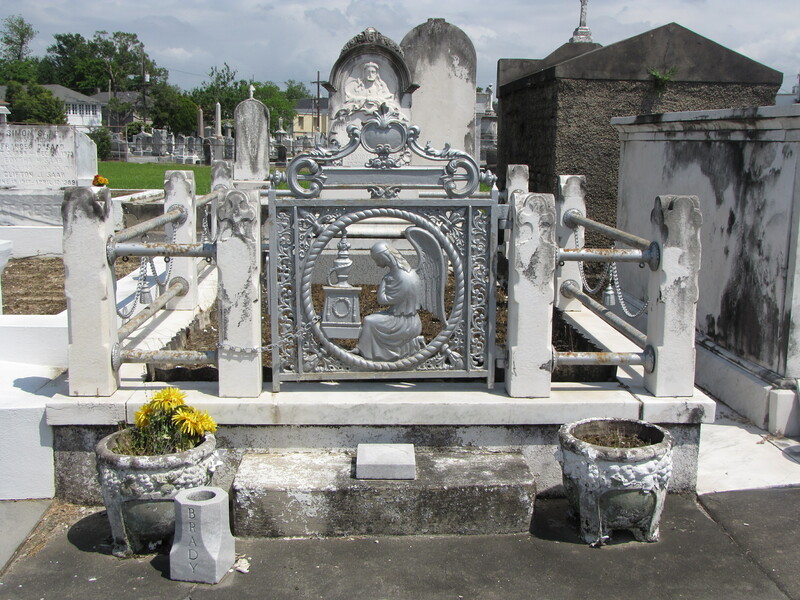 An elaborate fence with marble fence posts and cast iron railings surround the William A. Brady Sr. gravestone within the Saint Patrick Cemetery Number Two at New Orleans. 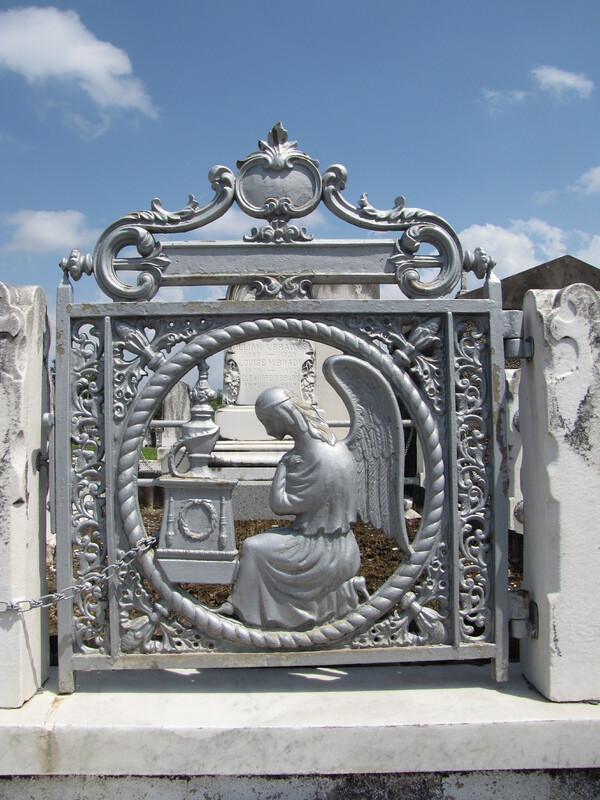 The cast iron gate is another fine example of the symbolism to be found on the metalwork in cemeteries. Here an angel on bended knee bows her head with her arms crossed in prayer in front of a tomb topped with a garland-festooned urn with a wreath and two inverted torches. The imagery is replete with symbolism. The flames coming from the bottom of the torches are symbolic of the soul. Here the inverted torch represents a life that has been extinguished. The laurel wreath dates back to Roman times when soldiers wore them as triumphal signs of glory. The laurel was also believed to wash away the soldier’s guilt from injuring or killing any of his opponents. In funerary art the laurel wreath is often seen as a symbol of victory over death.